Ellen is a farm girl from Stouffville, a climber, a musician, a lover of all things artistic, and a yoga teacher. Her first yoga class was 13 years ago, and though it was tough, she quickly fell in love with the way yoga made her feel. Ellen found herself attending yoga classes more and more determined to improve her practice and learn new things. Eventually it just made sense for her to broaden her practice by completing a teacher-training, so she attended a 200-hour YTT in Hatha yoga. After her first training, Ellen took a couple of years to dive into teaching and find her voice. She then went on to complete a 500 hour Moksha Yoga teacher training as well as a 100 hour Moksha Yoga Flow training. Ellen is currently enrolled in a 10 month Embodied Arts and movement Teacher Training and Mentorship Program through Spirit Loft Movement and Yoga Centre downtown. Ellen considers herself an eternal student and is constantly attending workshops and trainings to learn more. Over the years, yoga has deeply enriched her life mentally, physically and spiritually, and she continues to find fulfillment in helping others to find the same joy that yoga has brought her. Brianna is a very active individual who spent many years playing various sports. She came across yoga with a few friends, all of whom were in search of a new activity. After trying her first class she never looked back. She quickly realized the positive effect yoga was having on her whole being. She started to work as an energy exchange for a few years and really got to know more about the community. 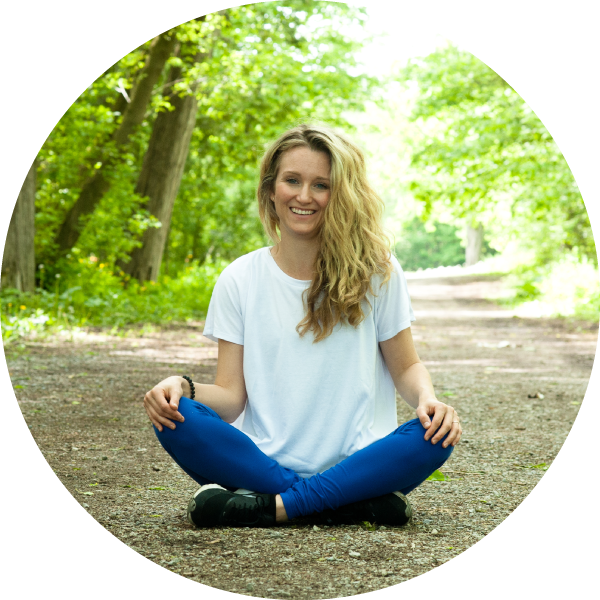 Brianna's curiosity about yoga led her to her first 500 hour teacher training in 2014 through Moksha Yoga in Montreal. When not in the hot room Brianna worked in the hospitality industry for years. Being able to teach yoga has allowed her to offer a service to those around her in a different capacity. She continued her studies by taking the 100 hour Moksha Flow training in 2016, in California to expand her knowledge. She recently completed her Restorative YTT in 2018. Brianna is in the midst of completing her Thai Massage Practitioner training at Thai Massage Toronto. Having Thai Massage training will help compliment Brianna's comprehensive yoga instruction offerings. That our bodies benefit tremendously from the mindful shapes they are encouraged to take in a yoga practice. I also know that we love to be challenged - even encouraged - to do a little more - perhaps even a little faster - both on and off the yoga mat. My invitation is to come to your mat and do less. Slow down. Connect with your body and your breath. Since starting my yoga journey in 2008 I have explored many styles and teachings of yoga. My mat keeps bringing me back to asana (postures) that nourish and heal. That allow for mindful movement and profound respect for these bodies that we do life in. Recently I completed a certification program in Yoga for Healthy Aging with a medical doctor from California. This intensive training affirmed in many ways the practice that I have been allowed to guide at KIND Yoga by Heart. SO - whether you are 18 or 88 - somewhere in between or beyond - you are invited to come to the greenhouse Mondays at 9:30am, to your mat and move in ways that matter and nourish your body and soul. Emma Drudge is a gardener, magazine editor, wilderness guide, whitewater paddler and outdoor adventurer. She firmly believes in the positive benefits of spending time outdoors, and loves pairing nature and yoga at KIND Yoga by Heart. Emma teaches flowing classes with a focus on connecting movement and breath. She's been practicing yoga for 10 years and completed a dynamic yoga teacher training in the Hatha Vinyasa style at the Therapeutic Approach Yoga Studio in Halifax, Nova Scotia. Tina is an inspirational teacher of yoga practices, retreats and guided meditations. Her practices are uniquely designed to increase pranic flow and elevate the body’s frequency, to ground, yet invoke the “yoga high”. The energy behind her passion shines out in her teaching, as she teaches from the heart. Join her on the mat for a beautiful journey of self care. Dione Adams has always been an active person through school and into her university years with most of her time spent playing basketball, running track and in the gym. In 2007 her best friend and gym partner was diagnosed with cancer and their gym dates soon came to an end as her friend had to find a more gentler form of exercise. It was at this time that Dione accompanied her friend to their first yoga class and became hooked. As the prospect of losing her friend became inevitable, yoga became Dione's means of support. Delving into her practice offered benefits not only to her body but also to her mind and soul. After witnessing how her yoga practice helped her through some of her most difficult times, Dione decided she wanted to share her passion with others in hopes of helping them as well. Dione considers herself an eternal student and has combined her love of learning with her love for travel, acquiring her trainings from places such as Toronto, Montreal and Nicaragua. Dione is certified in Moksha Yoga, Moksha Flow, Trauma Informed Yoga and Mindfulness Practices for youth and has trained in Vipassana meditation. Besides her love for all things yoga and mindfulness, Dione is a proud mother of three and holds a Psychology B.A. and Justice Studies Diploma. It has always been Dione’s desire to help and empower others and this journey has allowed her to fulfill her desire while doing what she loves. Kat started practicing yoga in 2009 but began a more regular practice as part of her recovery from a sport-related injury. Seeing first-hand how yoga complements the training regime of athletes (whether or not they have had injuries) is what inspired Kat to take her yoga teacher training. In 2015 she completed her 200hr yoga teacher certification through Pranalife Yoga - which provide immersion into the practice of yoga and the art of teaching it. Kat focuses on structuring her classes to promote long-term functional mobility as well as reaping all the physical and mental benefits that yoga has to offer. Kat also trains in Brazilian Jiu Jitsu, and is an amateur rock climber. Her yoga practice and teaching method is unique due to a well-rounded perspective of the possibilities and limits of ones body through movements in various activities. When not teaching yoga Kat loves to travel through humanitarian work. She has visited places such as Guatemala, Hawaii, Bali and Chile on behalf of Habitat for Humanity to help build homes in the communities that need it most. Sarah has been practicing yoga for the past 10 years. She loves sharing her passion for yoga and guiding students through their practice with a "feel good" approach for all levels. In 2012 Sarah completed a 300 hour YTT. Most recently completed a prenatal yoga teacher training to guide expectant mothers through their pregnancy journey to prepare for labour and birth. Sarah hopes to leave her class feeling connected to mind, body and soul - a practice they can take off their mat and into their daily lives. Susie’s yoga practice is influenced by her background in Recreation Therapy helping people of various abilities to increase their well-being through engagement in meaningful activities, teaching mindfulness and her passion for nature and movement. She has been practicing yoga for over 10years and has a love for both the fire of Vinyasa and the healing of Restorative classes. After a bad wakeboard injury in 2016 resulting in two knee surgeries yoga was what reconnected her with her body and mind. It was then that she completed her 250-hour yoga teacher training and begun down her path of teaching! She believes in mindful movement, connection with nature and others and doing what’s right for your own unique body and mind. When she’s not on the mat, you’ll find Susie at the lake, playing her guitar or spending time with friends and family. KIND is one of her favourite places to be and she is so grateful to be apart of this amazing community! When Katie finished Wild by Cheryl Strayed, she held the book to her heart, closed her eyes, and let out a soft exhale. A profound wave of gratitude washed over her as she knew one thing for sure: this was a book she was better because of. Yoga makes her feel the same way. In a world obsessed with overwhelm and taking in and taking on so much, Katie believes yoga is a well-deserved and much needed exhale. A former ballet dancer and competitive soccer player, Katie was drawn to yoga for the discipline, physicality, and movement. Yet the more she stepped onto her mat, the more she unearthed something else: a feeling of wholeness, acceptance of surrender and stillness, and most of all—an undeniable connection between her mind, body, and soul. A KIND yogi herself, Katie discovered the greenhouse in 2016 and quickly fell in love with the community and doing yoga overlooking a pumpkin patch. She practiced diligently at the nature-embedded haven (live music classes are her favourite!) before embarking on her 200-hour Teacher Training at The Yoga Forest in San Marcos La Laguna, Guatemala in 2017. Deliberately choosing to do her training in nature was one of the best decisions of her life. A leadership facilitator, session director, happy traveller, and yoga teacher, Katie finds it incredibly soul-satisfying to lead life guided by her curiosity. She attributes yoga to being one of her greatest adventures—physically, mentally, and spiritually—and is excited to forge ahead on this expedition and share her journey along the way. A heart-centric growth junkie, adventurer and lover of intentional connection, Baillie is an avid lover of learning and deep conversation. A lifelong practitioner of intuitive movement, she graduated from her Alignment based Vinyasa, 200hr YTT in October 2017. Drawn towards a challenge, her signature classes are dynamic, heat building vinyasa flows infused with and inspired by her love of eastern philosophy and mindfulness.ber 2017. Drawn towards a challenge, her signature classes are dynamic heat building vinyasa flows infused with and inspired by her passion of eastern philosophy and mindfulness. Keith is an RYT200 certified Yoga Instructor. He has been leading classes for 3 years, and practicing for more than 15 years. Using his experience as both teacher and student, Keith draws from Ashtanga, Vinyasa Flow, Yin and Mobility modalities creating yoga classes that challenge and invigorate both beginner and established yogi's alike. His classes are intelligent and creative, thoughtful, and structured in such a way that you will be guided from beginning to end, without knowing where this journey through Asana will take you.